Sara joined the Hi Altitude Sales & Consulting team in October 2011. She holds the title sales representative and showroom manager. Sara co-manages the key accounts alongside Ryan as well as leads clinics for retail staff and attends retailer sales and demos. Sara also manages the relationship with REI for the 12 stores in the Hi Altitude territory. Sara works from the Hi Altitude showroom located in Englewood, CO where she works diligently to keep samples current and organized. She handles the daily operations of the office including phone, fax and shipping and receiving. She also hosts educational and motivational management trainings for sales staff and buyers alike. Sara brings more than six years of experience to the industry and her expertise lies in customer service, event planning, business to business sales, inventory management, assortment planning, customer experience and gear clinics. Previously, Sara worked as the outreach specialist at Recreational Equipment Incorporated in Lakewood, CO. She was instrumental in the development and maintenance of relationships with community businesses, outdoor recreation facilities and non-profit organizations. She planned, organized and executed special events where she managed staff, logistics and booth set up at a variety of service projects and events. Sara holds a bachelor’s degree in mass media communication with a minor in recreation leadership from Western State Colorado University (formally Western State College of Colorado). Sara’s passion for the outdoors and people has contributed greatly to her success in this industry. 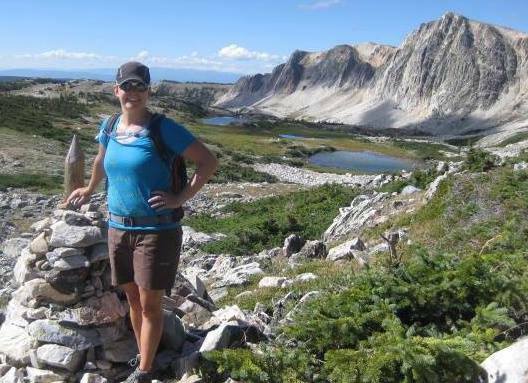 In 2009, Sara sat on the board of directors for Outdoor Lab Foundation. She oversaw the community relations and sponsor solicitation for the board and was influential in reviving their annual fundraising gala. When Sara is not working, she enjoys riding her bike, hiking, camping, snowboarding, gardening and spending time with her family. She is a Colorado native and currently resides in Denver with her husband, Steve.